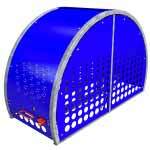 The Dero Double Bike Locker is bike security at its best. At a mere 38” wide, it is a perfect choice for long-term bicycle parking when you’re short on space, accommodating two bikes per unit. Municipalities, governments, and universities will love the sturdy steel construction, multiple locking options, door closer, and optional gear hook. 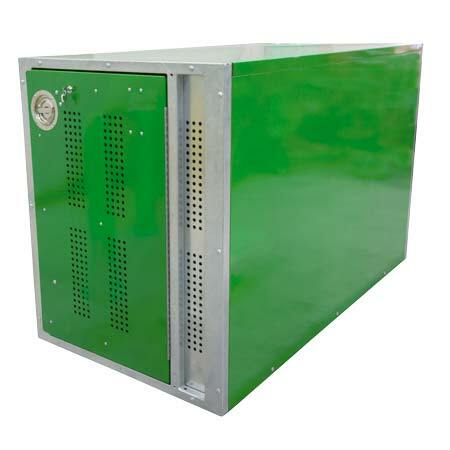 Locker side panels and door are hot dip galvanized and can be finished with a selection of powder coat colors. Installation is simple, with leveling feet for uneven surfaces. The locker ships flat to save on freight.